***BACK ON THE MARKET DUE TO BUYER'S FINANCING FALLING THROUGH*** CHECK OUT THIS $ PER SQ FT! This spacious and clean 3 bedroom 2 bath RANCH home is for sale in Worthington Place. This is a fantastic Bank Owned home with extras galore! The turret room at the front of the house can be used as a formal living room, study/library or home office. The large eat-in kitchen has vaulted ceilings and a separate breakfast area overlooking the back patio and yard. This great kitchen has vaulted ceilings and lots of cabinets and counter space GRANITE COUNTERTOPS. Stainless steel fridge stays! The formal dining room is very open and perfect for entertaining with columns and a tray ceiling. The family room is located in the center of the house, featuring a vaulted ceiling and a fireplace. 5500 Symington Ct, Louisville KY 40241 is a Home, with 3 bedrooms which is recently sold, it has 2,083 sqft, >1/4 ACRE sized lot, and 2 Car Garage,Attached,Driveway,Entry Front parking. 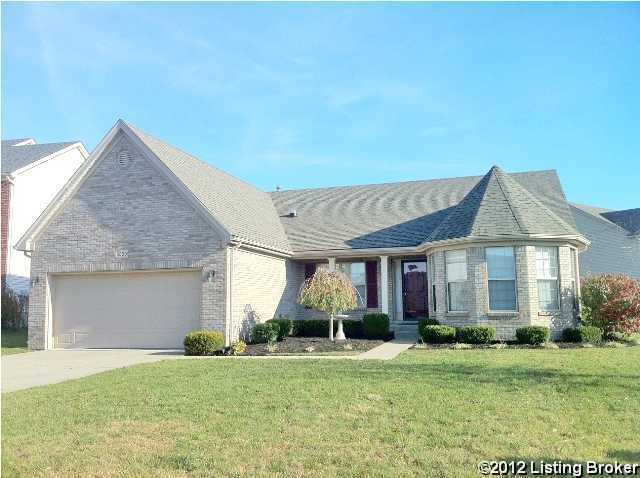 A comparable Home, has 3 bedrooms and 2.5 baths, it was built in and is located at 11003 Symington Cir Louisville KY 40241 and for sale by its owner at $ 234,900. This home is located in the city of Louisville , in zip code 40241, this Jefferson County Home, it is in the WORTHINGTON PLACE Subdivision, and SPRING VALLEY ESTATES are nearby neighborhoods.